Sarah is a music graduate at Thoreau college in Boston, serial dater and has a passionate, one sided love affair with Ludwig Van Beethoven. After the tragic death of her mentor professor Sherbatsky, to what authorities have labelled a suicide, Sarah has been offered a position at the Lobkowicz palace in Prague over the summer. It's the opportunity of a lifetime, cataloging the finest that history has to offer, including troves of handwritten scores and musical instruments. Sarah has always been a gifted student, but hardly the world's leading musicologist... Yet. Had she been chosen simply because she's Sherbatsky's protege? Shrugging off her roommate's suggestion that Prague is the threshold 0f Dark Magic, she is met by Miles, head historian overseeing the cataloged items. There are historian experts from every corner of the globe who share the compound with Prince Max, who is questioned as to whether or not he is the rightful heir. As details of the suicide come to light, it is revealed that the professor had thrown himself from the balcony of the palace. His strange and eccentric behavior not winning him many friends within the group of scholars. Sarah is brought to the attention of Max, for all the wrong reasons. She is being accused of stealing an artifact, in what is attempted to be a cruel joke, or could it have been a warning? Since the night in question, Prince Max has been withdrawn and parnoid, speaking to no one but his dog, Moritz. It seems there is something sinister in play within the castle walls, as evidence of Max's argument with the professor shortly before his death. Most believing the two were involved with drugs, but Sarah knows the brilliant Sherbatsky would never have entertained the idea. But when Sarah finds Max administering CPR to a ununiformed police officer that Sarah had met earlier, Max revealing he was also the head of security over at the Sternberg. The conflicting identity leading them both to believe that someone may be trying to frame Max... Except the body has now disappeared. Charlotte Yates is the senior senator from Virginia, holding a seat on the senate committee for foreign relations and regular adviser to the President, and has taken a vested interest in the restoration at the Lobkowicz palace. It seems Charlotte's interest is beyond pure and with inside information on the progress the historians are making, she may just find what she's been searching for after all. It seems the warning that follows Prague may have been truer than Sarah could every have imagined, when she finds herself delusional, in what she's led to believe is drug induced. But Sarah knows otherwise. As two worlds of past and present collide, Sarah is able to see into the past, see her life's work to come life before her very eyes and now knows why she was called to Prague. She didn't expect to be greeted by Pollina, blind child prodigy with a sixth sense whom she befriended while tutoring. Pollina has been invited to Prague by the Vienna Symphony and Czech Philharmonic, and Sarah wants nothing more than to keep her away from the palace and the evil that breathes life into the city. Sarah confides in the girl who's beyond her years, recounting Beethoven's Immortal Beloved and why Sarah feels that she's personally involved. As her relationship develops with Max, Sarah's life may be in jeopardy as the bodies begin mounting up. Is she destined to live the same fate of the professor, or is she about to become the most widely acclaimed Beethoven scholar in the world. 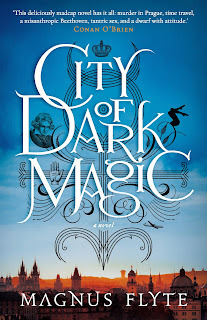 The premise of City Of Dark Magic sounded incredible, an intellectual suspense verging on a modern day steam punk novel, and in parts, it certainly delivered. Even though it's clearly intended for the wider adult audience, due to the few brief sexual situations, the scenario felt far more young adult. Sarah was a sexually confident girl, sassy, intelligent but refuses to take a back seat through life. She's promiscuous and knows what she wants. But sadly, Sarah fell flat. The reader will see glimpses of Sarah, but the hectic storyline didn't allow for any in depth character development. Nico, the midget was a breath of fresh air, cheeky, naughty and his flirtations were not only creepy, but highly entertaining. He was a strange, little free spirit and I wanted to see him more involved in the storyline, he was somewhat charming. I think the let down was due to too many new and inventive ideas for the plot, seemingly thrown in together which didn't allow for the story to be developed. Similar to watching a circus act with too many performers who pull your attention in different directions, it doesn't allow you to fully immerse yourself. It certainly isn't boring and earns the description of being madcap. I wanted to discover the rich Prague surroundings, but the plot was so action packed that I couldn't get a feel for the city. If they storyline was simplified, the sexual content removed and allowed time for proper character development, it would have been a brilliant novel. I'm assuming that will come in the second installment. Fans of the Magnus Bane series by Cassandra Claire will enjoy the almost medieval modern day surroundings. 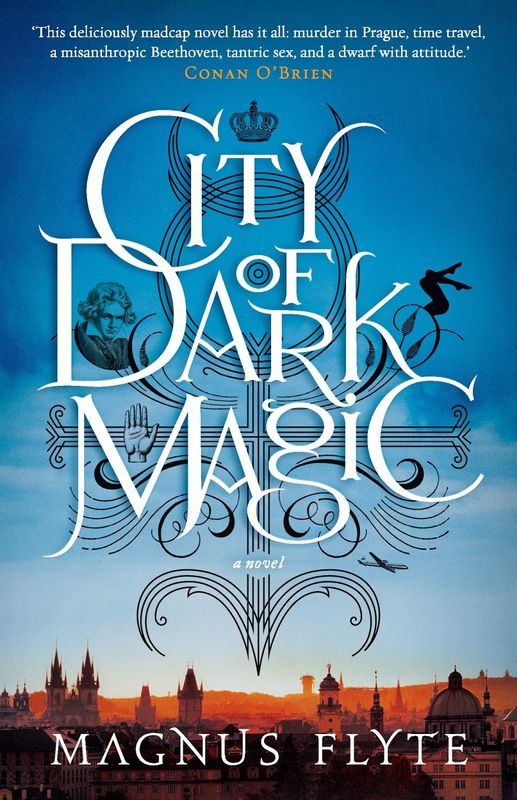 I would class City Of Dark Magic as more of a fantasy new adult novel. Thank you to Text Publishing for a review copy.